Developement of the Pz61 started 1953 with a set of requirements from the Swiss army. In order to meet the requirements, the Pzanzer 61 has a hydrostatic steering system, suspension springs made from Belleville washers, and fuel tanks situated around the driver’s position (a very dangerous situation!!). The first two prototypes were manufactured in 1958 and armed with a 90 mm cannon. 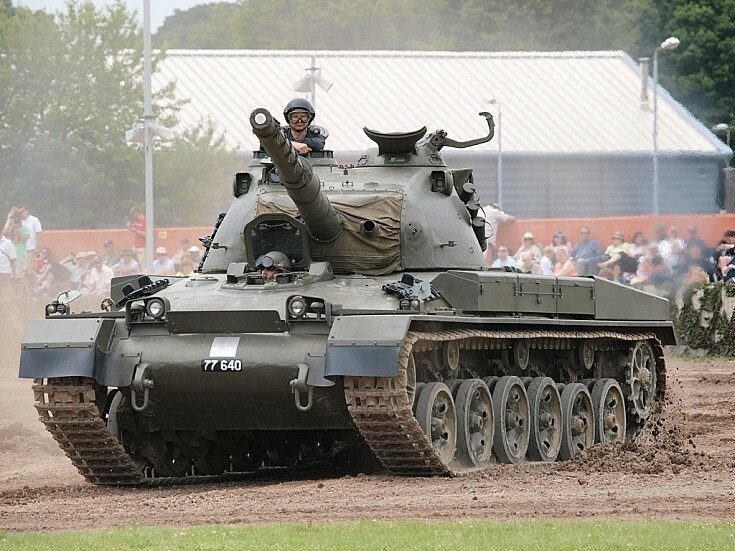 Followed by 10 more prototypes, armed with the British 83.4 mm caliber cannon, taken from the CENTURION Mk5. These prototypes were marked Panzer 58 (Pz-58). The tank was introduced under the name Pz-61 and entered service in the Swiss army in 1961. Series production ran from 1965-1966 and produced a total of 150. The Pz-61 tanks were gradually upgraded to version Pz-61 AA9.